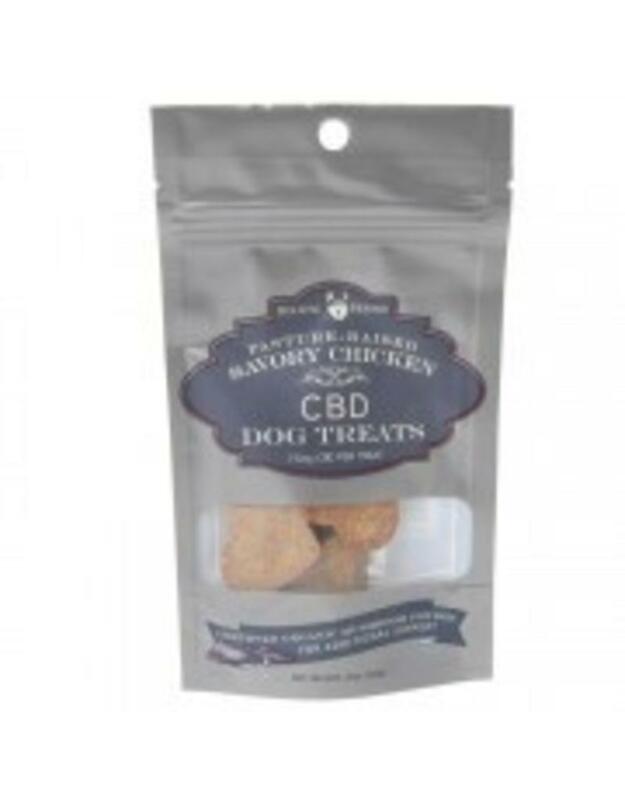 Holistic Hound CBD treats have an irresistible chicken flavor for an easy to eat treat! Each treat is infused with 7.5mg PCR hemp and other phytocannabinoids. These tasty treats include a certified organic blend of five medicinal mushrooms: reishi, shiitake, phellinus, poria & turkey tail (coriolus). Made with organic and pasture raised chicken. All Holistic Hound ingredients are made and sourced in the USA. Suggested Serving: One chewable per 50-60 lbs. of body weight once or twice daily, or as needed.